Meet your neighbor and Illini West Senior Abbey Douglas of the Durham Township. 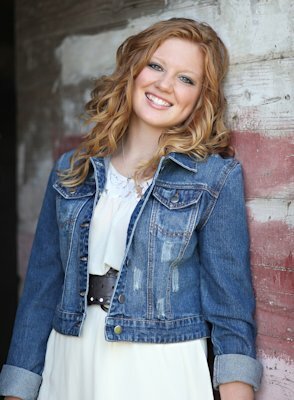 Abbey was born on May 11, 1995 in Burlington, Iowa. She is the daughter of Richard and Melanie Douglas. Richard is a farmer and seed corn dealer for Burrus and Melanie works at the First State Bank of Illinois. Abbey is the older sister of Jacob 15, who is a freshman at Illini West. She is the granddaughter of Larry and Lois Douglas, Mary Douglas and Bill and Robyn Tatum. Abbey has been involved in several activities while at Illini West. She played basketball for 3 years and volleyball all four years. She is the President of the National Honor Society at Illini West, the Co- President of the Git'R Done club, Secretary for FBLA and is on the Student Council. Her favorite high school memories were having sleepovers with all of her volleyball girls, when the boys went to State for football in 2010 and Senior year homecoming. Disney World for a week. "It was great for all of us to spend time together as a family." Abbey said. In her spare time, Abbey likes spending time with friends and family, playing with her new puppy and lifeguarding in the summer. After graduation, Abbey plans to attend the University of Missouri and pursue a degree in nursing.